IPL treatment is a type of laser treatment that uses high intensity light. The technology makes use of a combination of lamps and rapid discharge capacitors in order to produce the necessary energy. It is usually used by medical practitioners for various purposes. One of the most popular of which is hair removal. IPL Treatment has a number of attractive features and capabilities. 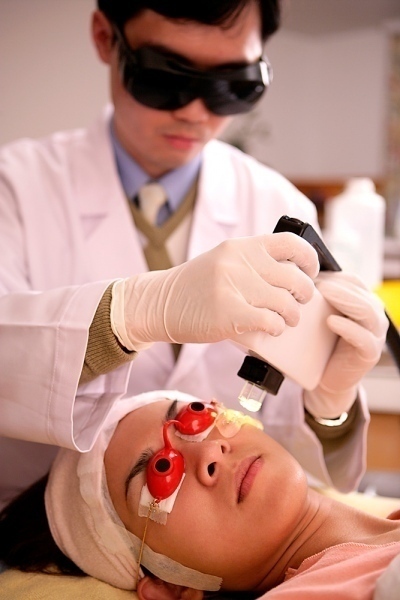 This mode of laser treatment makes use of broadband light. It can treat blemishes, veins, and other targets. It has the capability of targeting different skin depths. Since this kind of laser treatment delivers broadband light, it can be utilized in the treatment of large sections of the human body. With regards to hair reduction and removal, Intense Pulsed Light has become one of the most popular methods. Hair removal is actually accomplished with the help of its pulsed light system. 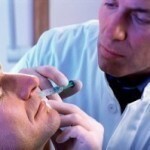 Many people generally classify this treatment method as a form of laser treatment. However, there are those who argue that since this method makes use of Xenon flash lamps that it isn’t really a form of laser treatment. This method heats up the hair shaft and eventually destroys the hair root. Thus hair growth is reduced via IPL treatment. The surrounding tissues where the hair roots are destroyed are also heated but in a considerably negotiable way. IPL treatment is observed to work best on thin and fine strands of hair. It makes take several sessions before it can give you the maximum result. Intense Pulsed Light (or IPL) hair removal has become more popular than laser hair removal for a number of reasons. Perhaps the chief reason why IPL hair removal is far more popular than laser hair removal is because it is cheaper. Another plus for IPL hair removal is the fact that it is a relatively faster treatment. However, scientists are still debating regarding which of the two treatments is more effective. One of the uses of IPL is for a process known as photorejuvenation. Photorejuvenation is a form of anti-aging treatment. This treatment technique is useful when it comes to removing red or brown skin pigmentation, wrinkles, and fine thread veins. However, IPL is not the only method to achieve this effect. There are thermal and chemical methods that can be utilized other than making use of IPL. Using IPL, the skin is stimulated to produce more collagen. The effect is that a person’s fine lines and wrinkles disappear due to the skin becoming plumper. An inquiry was made in 1990 evaluating the effectiveness of using IPL in photorejuvenation. In that study it was found that IPL has no ablative or invasive effects.